I’ve worked in the IT sector for nearly 30 years and have witnessed many changes. But as changes go, the acquisition of the Onyx Group by Pulsant is the one I’m most passionate about for both colleagues and customers. It’s been almost a year since the acquisition, and the integration has resulted in a stronger, more capable organisation that can not only deliver superior cloud infrastructure and support services to our clients, but also creates a platform for growth and career development for co-workers. The enlarged company has datacentres and offices in the North East and across the UK with nearly 4,000 customers, including big brands like Sky TV, G4S, DFS, Eddie Stobart and Highland Spring. The North East region, in particular, may be sad to see one of their leading technology brands disappear. However, we aren’t going anywhere. We’re changing our company signage yes, and performing the obligatory rebranding to Pulsant, but our capabilities, expertise, regional heritage and assets are staying. What the acquisition gives us is the ability to better serve our customers, provide the services they need, and to become an even stronger brand both nationally and globally. Let’s take a look at the strong heritage of both companies and how together, we’re better. Both Onyx and Pulsant were formed by acquisitions. The 1990s was the age of the datacentre, and Onyx was established in 1994 as Octacon. In keeping with the industry focus on emerging internet services, we rebranded to Onyx Internet a year later, becoming Onyx Group in 2007 at the height of cloud adoption in the industry. We subsequently launched our Onyx Cloud Service proposition to capitalise on the appetite for these solutions. Our final acquisition was Knowledge IT in 2014. Up until that point, Onyx was mainly focused on datacentres, colocation and managed services. But with the acquisition of Knowledge IT, we bolstered our existing cloud capabilities, added a highly skilled technical solutions business, and fantastic workplace recovery facilities — something sorely lacking in the North East and particularly important as demand for business continuity grew. Pulsant was established in 1995 as EdNet. Four years later, anticipating the take up of internet-based business services, EdNet became the UK’s first provider of Symmetric Digital Subscriber Lines (SDSL), launching broadband services in 2000. EdNet then rebranded as Lumison in 2004. As demand for datacentres and colocation grew, it opened additional facilities, before rebranding once again as Pulsant in 2011. Pulsant then embarked on a massive expansion drive, buying Dedipower, Blue Square Data and Scolocate, strengthening its colocation and datacentre presence in Scotland and the South East. This was followed by the acquisition of the IT consultancy side of Spinnaker Red in 2015, a strategic move, bringing experienced consultancy services with a strong client culture and then finally, Onyx in 2016. We’re always looking to improve our service delivery and update our facilities to make it easy for our clients to focus on their core business. We recently launched a new hybrid solution set called AMP, which is a joint venture with Microsoft. AMP combines private and public cloud services using Microsoft Azure technology, hosted out of local Pulsant data centres to speed up digital transformation and business growth. And with cyber security such an important issue, we’ve also added to our cyber security offerings, launching Pulsant Protect and Cyber Essentials certification services. On the infrastructure side, we’re in the process of upgrading our datacentres in terms of security and connectivity between them. This will ultimately mean upskilling our current staff and hiring additional employees to supplement our capabilities. Most Companies are starting to appreciate the full benefits that cloud can bring to their operations — cost-effectiveness, flexibility, agility, security and scale. 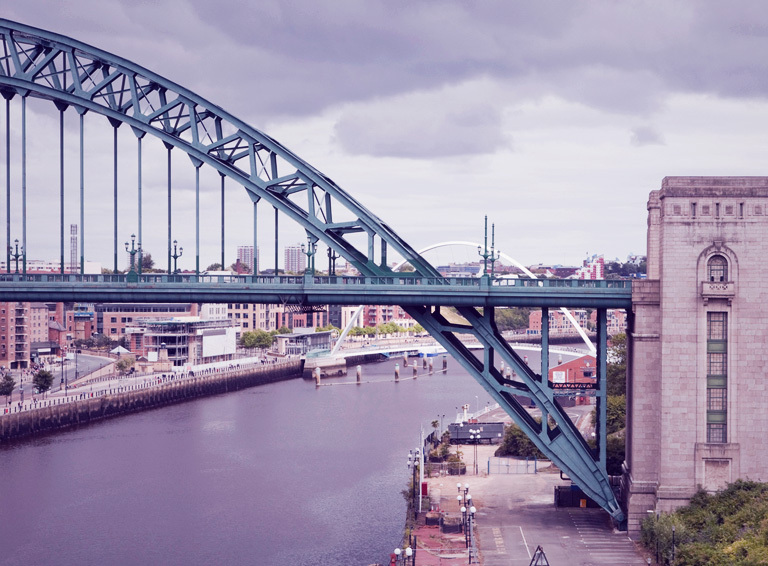 With Pulsant facilities now across our region, businesses can benefit from a range of transformational Cloud services delivered to them in the North East.